I cannot believe it is June already. This year is totally flying over but then again, don’t we say that every year? 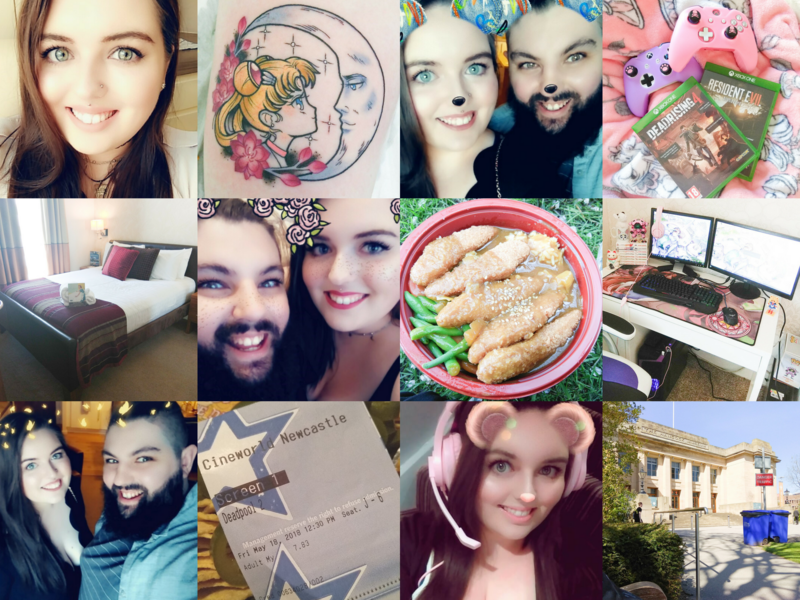 Since we are halfway through the year I thought I’d do a little catch-up sort of post to document what I’ve been up to in the past six months for those of you who care. Oh and of course for myself as a sort of little diary because I’m kinda sentimental like that. Despite this post being pretty cheery, my 2018 hasn’t been all bells and whistles. There have been some tough and testing times. However, the main this is I am here and right now I am happy and in a good place. So on with the post! At the start of the year, I had a goal. That goal was to be more ballsy and just generally live life a little more. I wanted to be more daring, push myself and do things that I have always wanted to do. One thing on my list was to get a tattoo. One thing stood in my way, my slight fear of needles and it had done for years. However, at the start of 2018 in January I booked a tattoo session. After looking at lots of artists in my area I decided to go with Northern Glory Tattoo and before I knew it I had an appointment with the super lovely Raychel Maughan, an extremely talented lady who produces the most beautiful work. I opted for a pretty Sailor Moon tattoo on my left forearm and Raychel put her own spin on the piece. I was unbelievably nervous at my appointment but in all honesty, the pain wasn’t that bad. The outline was uncomfortable in places but as a whole, it was nowhere near as bad as I was expecting. As for the shading, that was a breeze and before I knew it I had a super pretty piece of artwork of one of my favourite things on my arm. After my session, I felt a lot more comfortable with needles so I guess in some cases facing your fear head on really does help. I think out of my whole tattoo experience the most uncomfortable part was actually the healing process. I followed Raychel’s aftercare advice to the letter (which was brilliant may I add) and I swear by the Palmers Cocoa Butter that she recommended, it really does work wonders. But boy, oh boy, nothing could have prepared me for the itchy stage of the healing process. I remember one night I wanted to rip my arm off but I knew I couldn’t so I had to just grin and bear it. However, it was all worth it in the end because I absolutely love my piece of ink and in all honesty, I cannot wait to get some more ink, especially more of Raychel’s work. A few months after I got my tattoo I thought I’d further get over my fear of needles and do something I’d wanted to do for a while, get some facial piercings. 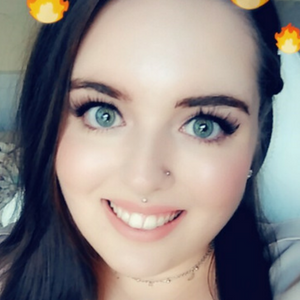 I knew for certain that I wanted my nose pierced and after looking online I discovered Blue Lotus Piercing in Newcastle. I kept saying to myself for weeks “I’ll go today” and it never happened. My nerves got the better of me. I also was torn over the idea of having my philtrum pierced. Anyway, one day I went to town, walked into the shop and asked about getting my nose pierced and my philtrum too. Before I knew it I was booked in for an hour later with Seb. Everyone at Blue Lotus was utterly lovely and made me feel so welcome, it was amazing and really helped to calm my nerves. Anyway, after walking around town it was time to go get my face stabbed with some needles. Seb chatted away to me as I nervously sat in the chair but before I knew it I felt at ease and then soon enough I was being pierced. I had my philtrum pierced first and I’m not gonna lie, it hurt. It wasn’t horrifying pain but it certainly didn’t tickle either. Next was my nose. In comparison to my lip, it was an absolute breeze. It still brought a tear to my eye but if I were to compare the two I felt like my philtrum was significantly more painful. Regardless of the pain, I went through, I adore both of my piercings and I am so glad I made the effort to get them both done. As for my phobia of needles? It isn’t entirely cured but I am SO much better with them compared to before. I hope in the future to go back to Blue Lotus Piercing and have some more piercings done as there are a couple of others that I fancy. I highly recommend Blue Lotus Piercing to anyone in the North East. The place is immaculate, everyone who works there is super friendly and they really do know what they are doing. For as long as I can remember I’ve suffered from anxiety. At one point it really began to take over my life. It stopped me from doing a lot of things I loved. I became a recluse and unless I was forced to, I just would not go out. As time went on things got harder and I found it difficult to make that initial step to get up and go out. That being said, earlier this year I took that step. I was incredibly uneasy and at first, I hated it but I’ve been pushing myself ever since. And you know what? It’s been getting easier and easier. So much so that I’ve actually really started to enjoy myself. I’ve been to Newcastle quite a few times over the past six months. This may sound sad to some but for me, it is a big step. I went to the cinema a few times seeing films like Avengers: Infinity Was and Deadpool 2 (Which was SO good!) I’ve also ventured out to places like The Great North Museum: Hancock and ShiJo Newcastle. Back in May I even stayed over at Staybridge Suites in town and spent a few days enjoying the city with my boyfriend which was utterly lovely. It doesn’t just stop there, my fella and I have a few other things planned too. We are planning on going to the Sunderland Airshow this year. We have also been talking about a nice little weekend in York together. So things are definitely looking up on that front. One thing I’ve struggled with for years is my confidence. Whether it be my appearance or my personality. I am a very self-conscious person. In terms of my appearance last year I lost 6st in weight which I was happy with and gave me a massive confidence boost. However, I am still not at my target weight and I feel like I’ve hit a rock in terms of my weight loss. At first, this really got to me. I wanted to be super slender as soon as possible because I thought it would make me feel super confident. I became obsessed with calorie counting and what I ate. However, the more I thought about it the more I realised being smaller isn’t going to make me suddenly feel confident. Don’t get me wrong, I still would like to lose more weight. However, at the moment I am trying to love my body the way it is. I’m curvy. I’ve got a tummy, thick thighs, big boobies, stretch marks and loose skin. Sure I’ve not got the body of a supermodel but it’s my body and I should love and accept it the way it is. I still get super down about the way I look every now and again. However, I’ve been trying my hardest to love myself more. I’ve been treating myself to new clothes and I’ve really been making an effort with my makeup again as it is something I find really helps. I’ve even picked up some great new makeup from Cult Beauty recently to experiment with which I’ve been loving. Like I mentioned earlier though, it isn’t just my appearance I’ve not been confident about, it’s my personality too and myself in general. However, I am trying to embrace my likes and not be ashamed of them regardless of how “nerdy” they may be. So that means listening to BTS until my heart is content, reading Sailor Moon until my eyes give in and gaming my little heart out. Speaking of gaming, I’ve been playing a lot of games recently. When I was younger I quite enjoyed gaming. However, as I got older I struggled, not only with gaming but with various coordination tasks. It was only until recently when talking to my Doctor that she said she was convinced that I had Dyspraxia, a developmental disorder of the brain which causes problems with coordination and movement. Looking back to my childhood it makes sense now as I struggled to write and had to use pen grips, my concentration wasn’t the greatest, I took a longer than average time to learn how to read and I was shockingly bad at maths. Even nowadays there are things that I struggle with. At times I am really clumsy, I have trouble finding the right words and explaining myself, I take ages to get ready and my aim when throwing anything is comical. One of the things I noticed I struggled with was when it came to learning to drive. Firstly I learnt in a manual car. Honestly, I just could not use the clutch in addition to the accelerator and brake particularly when coming to a stop and getting going again. I felt really stupid and ended up giving up after about 6 months. I then decided to try again but in an automatic car. It was actually when I was on a driving lesson in the automatic car when my instructor quizzed me about having a coordination and spatial awareness problem when I began to question myself. We were on a lesson. I remember him saying to me “Do you really think you can fit the car through there?” and I remember being sat there thinking I was useless because I genuinely thought what I was doing was right. It wasn’t just that though. When it came to manoeuvres I struggled with my left and my right. Particularly when it came to reversing and which way I was supposed to turn the wheel. For many, this will all sound really silly but for me, it really ate away at my confidence. Anyway, after Christmas last year I decided to get myself an Xbox One S. I just fancied getting back into gaming to pass the time along. I ended up falling in loved with the likes of Dead Rising 4, Mortal Kombat XL, Overwatch, BioShock The Collection and Mafia 3. When I first started playing again I was absolutely shockingly terrible but you know what? I enjoyed myself and that is the main thing. It was only when my boyfriend pointed it out that I realised that by using my snazzy pink Xbox controller to play all my games that my coordination was actually getting better which gave me a huge confidence boost. From then on I have got quite back into gaming. I even bought myself a super pretty purple Vibox Gaming PC and jazzed up my whole set up with a D.Va Mouse Pad, Purple White and Black gaming chair, Rainbow LED Backlit Keyboard and a Razer DeathAdder Elite Ergonomic Esports Gaming Mouse. Obviously, gaming hasn’t cured me of my coordination problems. But I will say it has helped massively with my confidence. So on that note I am for sure classing it as a win for 2018. For a little while now I’ve had a very special man come back into my life. His name is Peter and we met at school. We were good friends when we left school and he always had my back. He always gave me advice and listened. He was one of those friends who genuinely cared and wanted the best for me. Over the years we just naturally lost touch. I guess it just sometimes happens. Fast forward to last year. I had some things going on in my life and we got talking again. We actually spoke a lot. Together talked about anything and everything. We had phone calls that lasted all night. We also had days together where we just laughed and enjoyed the presence of each other. Before I knew it we’d totally fallen for each other. Like any relationship things tested us but we are still together today so I guess that says something. Now I’m not going to sit here and write a soppy post about how Peter is my “prince charming” *vomits* and all that BS. But what I will say is that he is one of the loveliest men I’ve ever had the pleasure of every meeting. He’s such a gentleman, so respectful, so caring, understanding, patient, polite, kind and he’s SO funny. He makes me cry with laughter. Peter never makes me feel silly or stupid. He supports me no matter how stupid my dreams and ideas are. He encourages me to be myself. Plus he is forever telling me that I am more than enough and I am great just the way I am. If I had to sum our relationship up I’d say we’ve got a great friendship at our core and we just get each other. He makes me happy with his nerdy ways and the way he always supports me. He really understands my anxiety and depression and doesn’t judge me in the process which I massively appreciate. So far I’d say 2018 is turning out pretty well. We of course still have half a year left so potentially anything could happen in my life. But if I were to wish for anything it would be that the rest of the year brings good health, happiness and more confidence in my life. Next Post Is The NYX Taupe Blush Good For Pale Skin?